Are you considering installing a whole home water filter? If so, you’re not alone. Many Florida homeowners are worried about both the hardness of their water and its safety – and the best solution to both problems is to install a whole home water filter to soften and purify your water. Even if you’re already on board with the idea of investing in a whole home water filter, you may wonder what the advantages are of buying one. After all, it’s not a small thing to do. With that in mind, here are six whole home water filter health advantages we think you should know about. The biggest and most important health advantage of installing a whole home water filter is that it’s the best way to ensure that you and your family have an ample supply of water that’s safe and healthy to drink. Even municipal water supplies can contain contaminants and harmful chemicals. On top of that, it’s very common for chemicals like chlorine and fluoride to be added to drinking water. The right whole house filtration system, like our Guardian Water Systems water refiner, removes lead, chemicals, and other common water contaminants. If you live in an area with hard water, then you may have noticed that your hair and skin are dry and dull. That’s a common side effect of bathing in hard water. The minerals in the water build up on your skin and in your hair. When you install a whole home water filter that softens and purifies your water, you can be sure that you’re getting truly clean when you shower. Without the build-up of minerals, your hair and skin will feel soft, clean, and healthy. One of the least pleasant potential effects of drinking unfiltered water is that it may contain bacteria and other organisms. Some such organisms, such as E. coli, can cause serious gastrointestinal distress and illness. By contrast, filtered water is specifically treated to remove live organisms and protect you from getting sick. When you have a whole house filtration system, you can be sure that you won’t fall victim to Montezuma’s (or anybody else’s) revenge. It is no secret that many big companies have, over the years, dumped contaminants into the water supply and the soil. While the EPA and other agencies have done their best to curb such behavior, there’s no denying that some carcinogenic chemicals have infiltrated our water supply. The installation of a whole house filtration system removes those chemicals and as a result, helps to lower your risk of getting certain types of cancer – including colon cancer, bladder cancer, and rectal cancer. Your skin is the largest organ in your body and as such, its health is important. We already talked about the drying effect of hard water, but there are other skin benefits to using filtered water in your home. One such benefit is that the chemicals in unfiltered water can exacerbate skin conditions such as eczema and psoriasis. Filtered water protects your skin and minimizes irritation and aggravation. Having safe water to drink is essential, but the taste of your water matters too. When your home’s water supply tastes pure and clean, you and your family are more likely to drink the amount of water you need to keep your body hydrated. Considering some of the problems that can be caused by dehydration, including chronic headaches and kidney problems, drinking enough water is a must. Installing a whole house water filtration system can help you and your family live healthier lives. It all starts with testing your water. 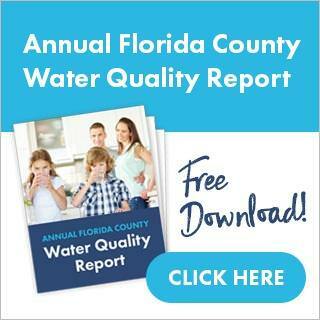 To schedule your free water quality test today, please click here.